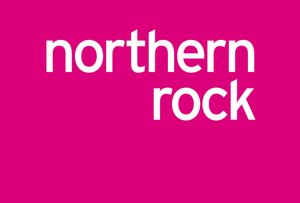 Virgin Money has made an offer for nationalised lender Northern Rock. The acquisition is a fast-track route to 70 branches on the high street for Branson's online outfit. Bidding closes on the bank within 24 hours. But Virgin Money’s not the only player in the game. Gary Hoffman, former CEO of Northern Rock, now chief executive officer of NBNK is also making an offer. Both bid amounts are still under wraps but it should be a close run. Northern Rock doesn’t look like a particularly tasty morsel. The brand itself has taken a beating (no one likes a bust bank) and most of its recent financial activity in the mortgage sector has been brokered through intermediaries. Northern Rock has also been steadily loss-making since the bailout, losing £78.8 million in the first six months of 2011 and £140m during the same period last year. But NBNK has another iron in the fire too: a bid for all 632 branches of Lloyds Banking Group. If it successfully snares both banks, it will own a 6% slice of the high street banking pie. But the Lloyds deal is far from done. Despite being the only bidder for the business, Lloyds (also state-backed) is holding out for a better offer. As for Virgin Money, snaffling Rock is the fastest way to stamp its brand on the high street without setting up branches piecemeal. Of even greater interest to Branson is Northern Rock's banking licence. These are rarer than hen's teeth and just as hard to acquire. But can Branson bring Rock into his portfolio? Well, see, the timing of the sale is interesting. It’s only now that Hoffman is free to table a bid; as part of his exit terms he was barred from any acquisition attempts for a year. This suggests a preference for an old face back on the board rather than our bearded hero. Branson is not one to be easily shrugged off, however. This is his second bite at the elusive NR cherry. He won't go down without a fight.